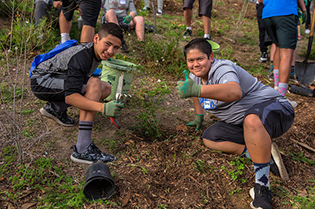 The Generation Earth program empowers students in grades 6 - 12 in Los Angeles County to take action and address environmental waste and water issues. We do this by providing support for environmental service learning projects happening at your school, including personalized assistance that connects students and teachers with opportunities to learn content, and project resources such as community partners, toolkits, guides, and a free bus for project-related field trips, and funding opportunities. 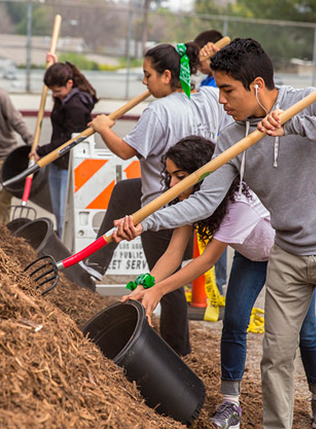 Generation Earth is a free program offered to all public and private schools in Los Angeles County. In exchange for project support, we want to know about your project and get your feedback about the program! We want to hear about your project! Let us know how it went, send us pictures, surveys, and what resources you used along the way. Take advantage of your free bus! 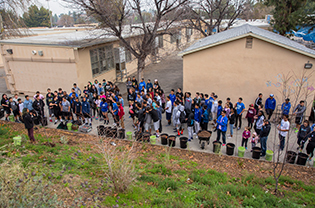 Campus Beautification Promotes Water Conservation and Reduces Trash!